We are very excited to announce that on March 9th, 2019 we will be celebrating the belt cycle promotions for the latest session of training by our Friends of the Children program. 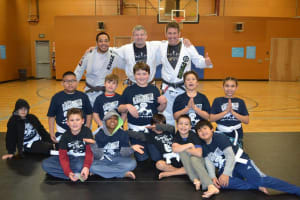 It is our hope that everyone will be able to join us for a fun filled event featuring BJJ demonstrations, the belt promotions for the kids, an open mat, and a BBQ! We will be cancelling youth classes on the day of the event and we encourage all of our students and families to join us at the Rockwood facility. We will be organizing carpools and transportation for those that may need a way across town as the event date gets closer.